Details below are from our 2018 event, but are generally applicable for the 2019 event. Lace up your shoes and join us for the 44th Annual Blue Lake Runs. This event offers a 5K which you can run or walk, and a half marathon (run only). There is also a 1/2 mile free Kids’ Run for ages 10 & under. Please note there is a 3-hour time limit for the half marathon. 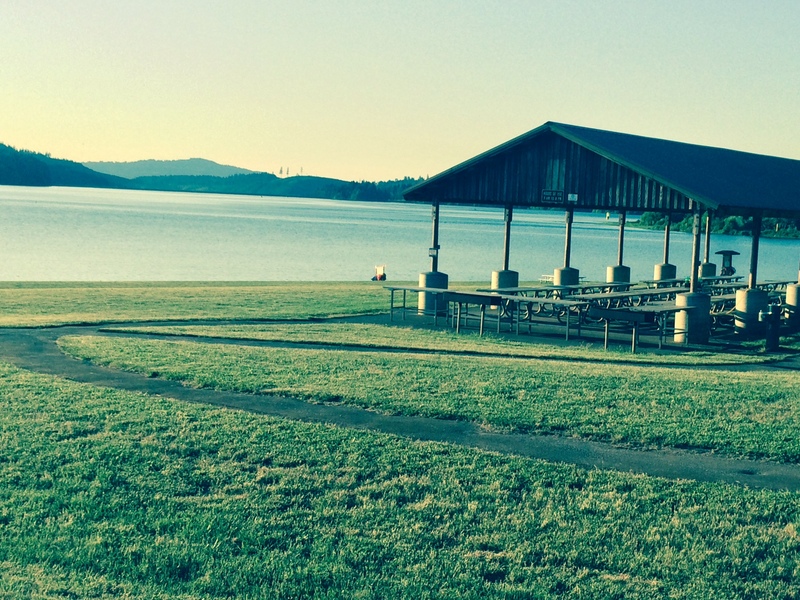 The 5K and half marathon courses wind through beautiful Blue Lake Park—before and after an out and back portion on paved trails—with views of the Columbia River and surrounding area. Celebrate your accomplishments afterward with our event BBQ featuring hot dogs, chips, drinks, and dessert, all included with your registration. Children running the free Kids’ Run and accompanying adults are also welcome at the BBQ at no extra cost. 5K & half marathon participants also receive a shirt and medal. Half Marathon (run only). The half marathon starts at 10:00 am. 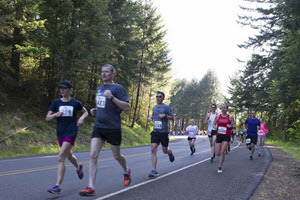 The course winds through beautiful Blue Lake Park—before and after the out-and-back portion on paved trails—with views of the Columbia River and surrounding area. Course time limit is 3 hours. 2018 half marathon course will be substantially like last year – click here to see 2017 course certification. Free 1/2 Mile Kids’ Run (for ages 10 and under) starts at 9:30 am. This out-and-back course is all within the park and is aimed at getting the whole family out to the park to enjoy the day. Parents may run with their kids! Online Registration closes October 11, after which you must register in-person on day of race beginning at 8am on October 13, 2018, and discounts will no longer be honored. Register now! ORRC Members get $10 off when pre-registering online. No ORRC member discount available when registering same day at the event. You’ll also have the opportunity to join ORRC during the online registration process and immediately save $10 off your registration. Read more about the benefits of ORRC membership! Race Day: 8 am on October 13, 2018. Day of Race Registration will also be available at this time. Alcohol and dogs are strictly prohibited in the park so please help us observe these policies. METRO Park does not allow dogs at Blue Lake Park, nor does ORRC allow dogs on any part of the course. BBQ! Celebrate your accomplishments afterwards with our traditional event BBQ featuring hot dogs, chips, drinks and dessert, included with your registration. Children running the free Kids’ Run (and accompanying adults) are also welcome at the BBQ at no extra cost. Sign up for our volunteer roles online – click here. 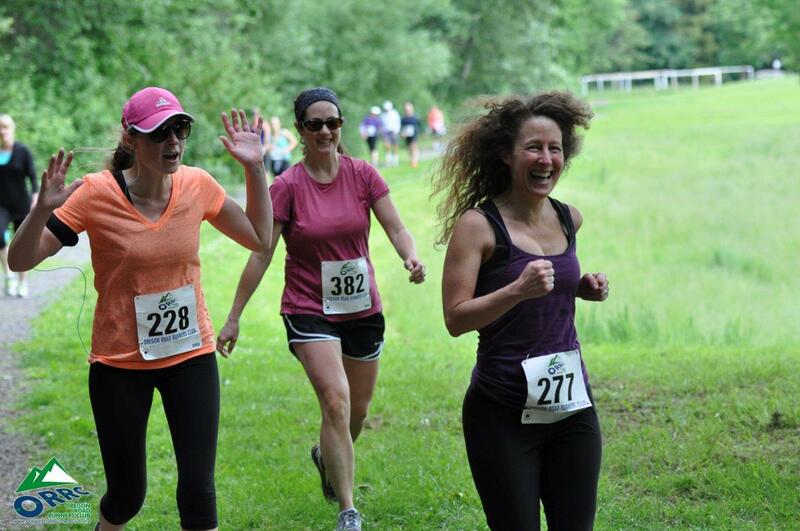 Volunteers receive a free 10K ORRC event coupon for your hard work, emailed to you after the event.